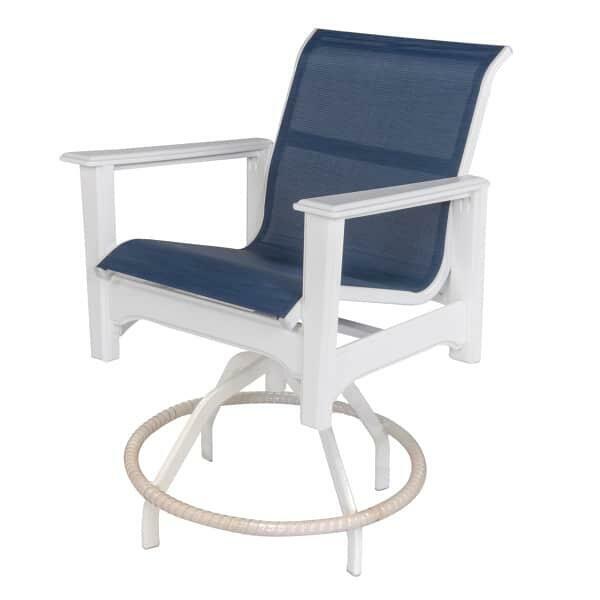 The Cape Cod Sling Counter Chair by Windward Design Group is an excellent option for your outdoor grill island, a counter-height bar or pub table. It is crafted of Marine Grade Polymer (MGP) which allows you to place this counter stool anywhere – it is resistant to the weather, won’t fade in the hot sun and is impervious to insects and other concerns. The Cape Cod Sling Counter Chair is completely customizable with three frame finishes and a wide array of weather friendly fabrics.